“AN UNEXPECTED BABY is a super short and sweet contemporary romance short story (24 pages, 5600 words). Treasured Dreams is over. Now that An Unexpected Baby is out, that means I’ve finished the series of stories that follows Holly and Dave through the early parts of their relationship, all while enjoying the beautiful town of Whitefish. This story was just as great as the others. Holly and Dave’s characters continue to develop and grow. It’s hard to leave them behind at this point, seven stories in. I’m sure I’d be happy to read more if Hatler were to write them. I feel with the way this left off (not as a cliff-hanger, don’t worry), there’s more enjoyment to be had from this couple’s future. But at the same time, I’m content with this being the end. I think this was a good place to leave it. I’m sorry I don’t have much more to say about this story. It, like the others, was short. There’s not much to pick apart without giving everything away. I’m confident in saying that if you’ve enjoyed the series so far, this story won’t be a disappointment. That’s what we want in the end, anyway. Today Susan Hatler releases her final story in the Treasured Dreams series. It’s number seven and the perfect time to catch up if you haven’t. Now you have an end in sight. I know some readers need all the books released before they dive into a series. For those of you who are like this, it’s your lucky day! I’ll be reading this soon and the review will come soon after, like in the past. So be ready for that. I’m sure it won’t be easy to let these characters go, but maybe Susan has a treat for us with a future project. We’ll have to stay tuned. AN UNEXPECTED BABY is a super short and sweet contemporary romance short story (24 pages, 5600 words). 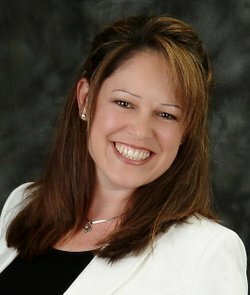 Holly’s already in over her head when she and her husband, Dave, receive an offer to adopt a baby. They make a decision on the spot, but Holly’s afraid she’ll regret their choice forever. What if it’s those unexpected moments in life that make treasured dreams come true? 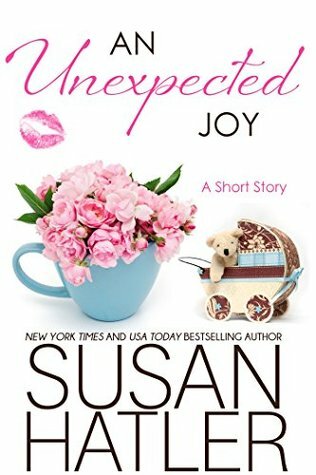 “AN UNEXPECTED JOY is a super short and sweet contemporary romance short story (12 pages, 3200 words). AN UNEXPECTED JOY is a super short and sweet contemporary romance short story (12 pages, 3200 words). Holly’s next adventure, and she’s in for an unexpected joy. “AN UNEXPECTED WEDDING is a super short and sweet contemporary romance short story (14 pages, 3600 words).